A common way to organize work items in TFS is to assign them to different iterations. I’m using this with the scum model where every sprint corresponds to one iteration. So how can we get all iteration paths in TFS to use them in our own implementation. The information is not saved on the work items, we will need to look directly at the project object and recursively iterate on the iteration object tree to get all iteration paths. 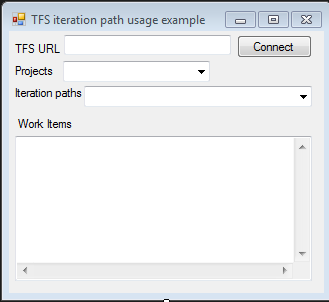 In this example you will be able to connect to a TFS server and get all work items based on project and iteration path listed. The big change in this release is an improved UI for changing the layout of the printed items. I recently decided to open soruce some of my projects. You can find them under Projects on the blog. Is decompression planning application for windows phone 7. The algorithm used is based on Buhlmann ZHL16A, ZHL16B and ZH 17B with m-value gradient conservatism. Both air, nitrox and trimix diving is supported. 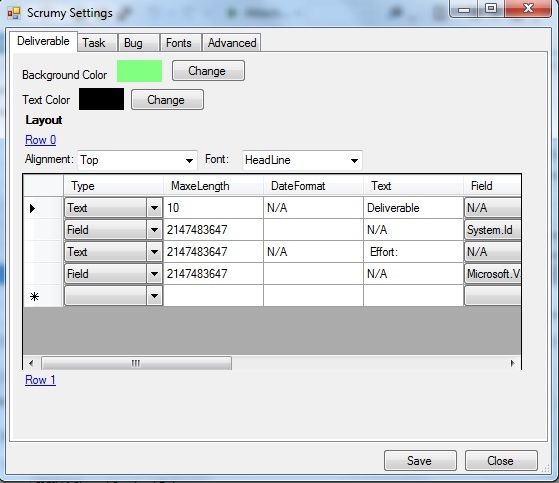 Scrumy is Visual Studio plugin. The current functionality cover printing TFS item to be used on a scrum progress board or kanban board.